We LOVE LEADPAGES! If you're looking to create dynamic landing pages that convert well (because they're already set up for you with conversion driving layouts), definitely start here with the free trial below! ConvertKit... I have been sending out email campaigns for the last 14 plus years to my customers. Not a single one of them has told me so much about my audience in such a short amount of time. In your very first email campaign, you have the potential to learn so much; it's game changing. So this is what I use daily to converse with my audience and then understand their behaviors, which is essentially, them answering me back. Highly recommend this as an email marketing service for lead generation, sequences, & automations! They gave me a FREE 14 day trial for my people! And they don't do that often... Click here to try it out! I talk about how simple selling changed the face of my business years ago! By learning how to streamline my selling process, I am able to sell a minimum of 1k bling cases every month (STILL) 2 $55 - $65 per case. Samcart makes my sales funnels simple and keeps the customer focused on the close! By far, my favorite sales tool! But you don't have to take my word for it. Try it out for free here. So this has been one of the most exciting features for me within my business lately. I was receiving tons of emails and dm's about one one one, live sessions. I came across this automatic scheduler and instantly it made scheduling so simple for not only me - but my clients! I filled out my time slots & availability and my clients can automatically sign up for biz meetings with me! It goes beyond that, though. Integration with my Convertkit. Sign up emails, reminder, & follow-ups so that you can make an offer or ask for a review while our consultation is fresh on their minds. This is a game changing tool! Try it out free with this offer and see how it can transform your business! Love love love Planoly for scheduling our content. It's a beautiful platform, simple...there's a free version, & the plans are extremely affordable! Schedule your posts for Instagram, see how great your feed will look, and let it post automatically for you! Click here to use Planoly for free. 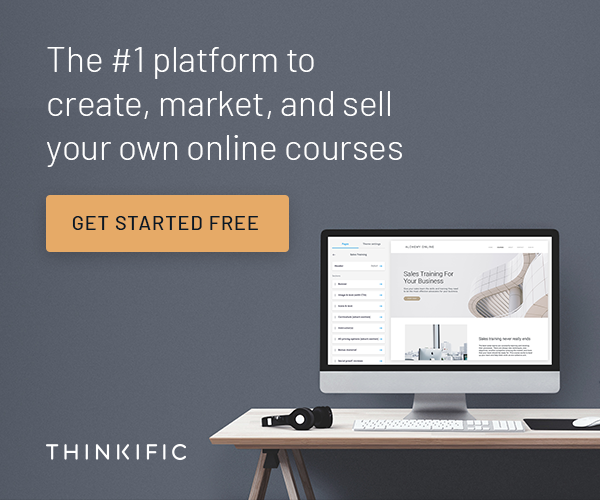 We use Thinkific to offer all of our ongoing courses & Accelerators Courses @PGC Academy. It’s free to use for certain plans, and an excellent beginning resource for anyone who wants to start selling their courses or offer a membership online affordably. Definitely worth the investment every month/year! You can try it our here for free.